Artificial turf is cost efficient. It requires no maintenance, saving on water bills and reducing gardening costs. 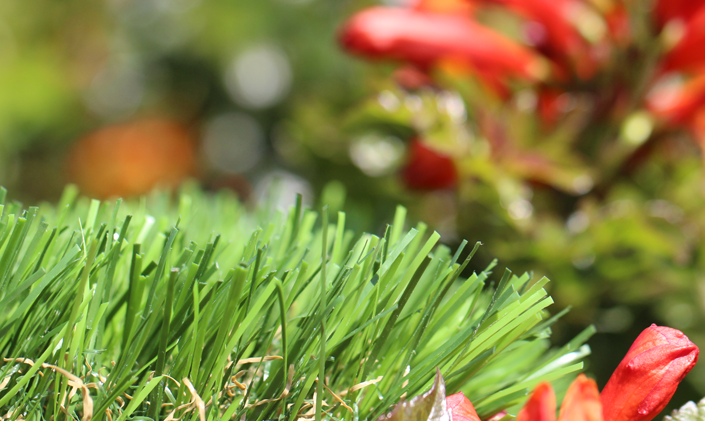 Lush, synthetic turf is soft to the touch and looks beautiful all year round. It is also safe for children and pets. Artificial turf lawns are popular in semi arid Southern California, and can also become effective in keeping down dust. Artificial grass has come a long way in the last 30 years to mimic natural grass, and Paradise Landscaping has become expert in the installation of this water saving solution.